For those who missed the VH1 Legends episode focusing on Pink Floyd (as some have commented, it might have better been called "VH1 Legends: Syd Barrett and a Few Others", but it was an interesting show nonetheless), VH1.com has a schedule of upcoming episodes online. The next two showings will be on Wed, Jan 23 at 2am and on Fri, Feb 1 at 9pm. Check it out if you can! It appears Sony is preparing to release the much anticipated video of Roger Waters "In the Flesh" 2000 tour on DVD and VHS formats. There has been no official press release by Sony, so no word as to whether or not it will include the same footage used in the 1 hour broadcast on Music Choice back in February of this year. You can preorder your copy here at CDNow, who has the release schedule for Dec. 18th. Just in time for Christmas! There are currently no future plans for Pink Floyd to tour together or as a group under this name again. Their recent comments are not very positive for fans wishing this to materialize. I myself think any future activities from the Pink Floyd camp may only involve unreleased and rehashed older material, or revisioned/remastered formats of previously released albums and videos. But I lack confidence we will ever see the band touring the world again or creating new music together as Pink Floyd like we last observed in 1994. However, this does not mean we can no longer enjoy them. The catalog Pink Floyd created is enormous and we still have their solo careers to follow, which are once again becoming very active! Roger Waters, David Gilmour and Richard Wright have all stated in their own words recently they are working on new material! 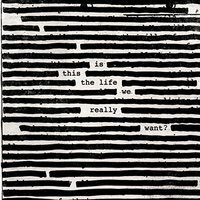 Please keep in mind the past and current members, Roger Waters and David Gilmour do have plans to solo tour in 2002 and release new solo material you may be interested in checking out. Echoes: The Best of Pink Floyd has been released on CD. Enough said. One of the official sites (and currently the most active one) has been updated for the Echoes release. Featured are media files of the various songs from the new best-of compilation -- as well as lyrics and other information -- and the site purports to have a lot more goodies on the way. It's always great to see so much activity coming from the Floyd camp. BBC Radio 2 conducted a very important interview of David Gilmour today in anticipation of the upcoming release of "Echoes: The Best of Pink Floyd." Some interesting subjects were discussed. It appears David has plans to release a video and DVD of the previous Meltdown gig and upcoming February shows. He also mentioned his intentions to start on a new solo album next year - all terrific news! Unfortunately there is bad news for fans hoping to see Pink Floyd in action again. David's comments were not very promising. The inevitable end is a realization we may finally have to accept. Something many of us have suspected for a good while now. You will need RealPlayer to listen to the entire rebroadcast here. The new Floyd "best-of" album, "Echoes: The Best of Pink Floyd", will hit stores November 6 (in the US at least). CDNow is already taking preorders, so you've got no excuse not to get yours! Following critical acclaim for his sold out performace in June as part of Robert Wyatt's Meltdown Festival, David Gilmour has decided to dust off the Royal Hall once again for two dates scheduled in January of 2002. The shows will be held back to back, Wednesday the 16th and Thursday the 17th. Quite a treat they should be indeed if they are anything relatively close to the Meltdown Festival performance. Seats will likely sell out quick! Tickets may be ordered for either show here while still available!